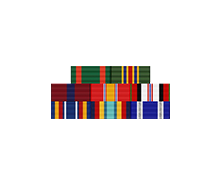 Your Regulation Military Medals Rack Builder. 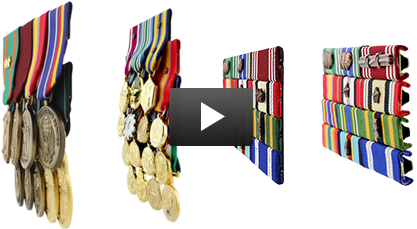 With eight rack types and over 900 awards, it's the most comprehensive military ribbons and military medals rack builder available. We make building the perfect rack a breeze. 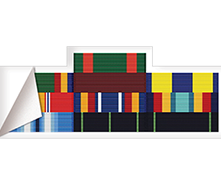 Browse through our eight military rack types below. 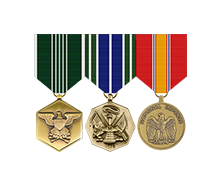 Yes, these are official military medals. 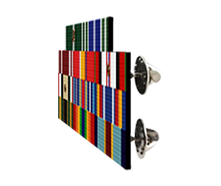 Each rack is hand-built with US Made, Institute of Heraldry approved medallions and ribbon stock. Racks are triple-checked to ensure pristine quality and proper regulations are met. 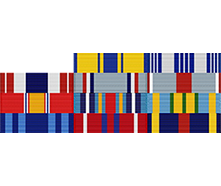 No other military medals rack builders come close. 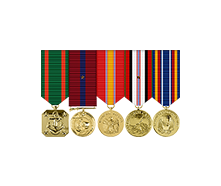 Why choose our military medals rack builder? We take great pride in what we do, and it reflects in our work. Our professionals create each rack with great care and attention to detail. 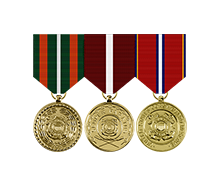 There's no better way to honor your career and highlight your accomplishments than with our thoroughly-crafted military medals. 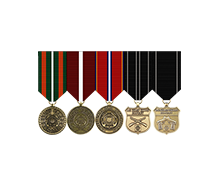 Use our groundbreaking EZ Rack Builder to easily build your perfect award set with our military medals rack builder, or call us at 1-877-653-9577. We're available M-F 6AM - 5PM PST. Our warehouse will have it shipped within 24 business hours.